I know I’m late to the party, but I only recently caught up with Searching for Sugar Man, which debuted to great acclaim at this year’s Sundance Film Festival and has built a steady following ever since. Its protagonist is even being profiled on 60 Minutes this Sunday. But if you’re curious about him, or the movie, I’d encourage you to skip the broadcast (or record it to watch at a later time) and let the movie unfold its constantly surprising story as the filmmaker intended. 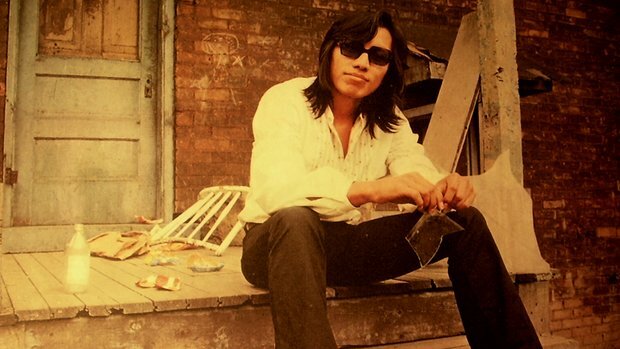 This is the saga of an elusive Detroit-based singer-songwriter of the early 1970s named Rodriguez. Always something of a mystery to the people around him, he nevertheless had a profound effect on everyone who met him or saw him perform. Producers and record executives who worked with him compared him to Bob Dylan. But the public never embraced his albums and he faded into obscurity…except in South Africa, of all places, where he became a pop culture icon and his records were prized possessions. via Searching For Sugar Man—movie review | Leonard Maltin.